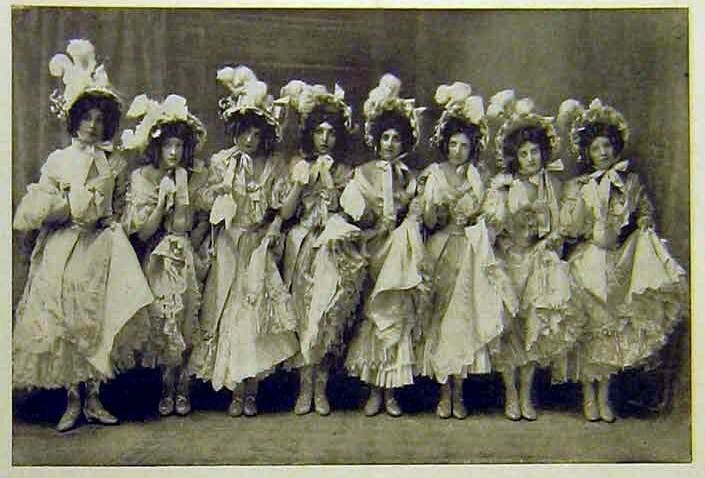 I received an email from Mary Davies about her grandmother Lilly Macdonald who was a member of the 1897 Tiller Troupe in the photo above, Lilly is fourth from the left. Lilly, was born in Salford around 1879 and died in 1940, although she was 20 years younger than my Grandfather, William Hearson Hosgood who was a member of the D’Oyley Carte Opera Company chorus. They had four sons, my dad William David was their third son, they lived in Roath, Cardiff.